Here's a search engine shocker: According to Google, the amount of time we spend searching for apps related to mental health has spiked over 60 times in the past five years. That means there's more of a demand than ever for easy-to-use services that'll help you feel your best. 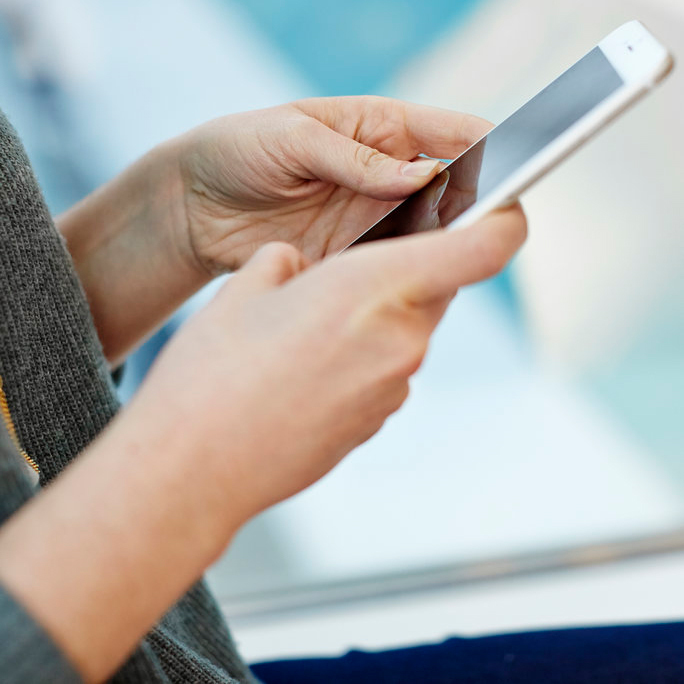 Whether you're going through a rough patch or just looking to be more mindful of your everyday, we rounded up three super-helpful services that you can access from your smartphone. Get on-demand help or advice from a licensed therapist via the site's live chat feature. Simply type in your question and a Talkspace therapist will write back to you within minutes. The process is anonymous, so you'll feel 100% secure conversing with your counseler and participating in optional group chats. Round-the-clock access to the Unlimited Messaging Therapy feature is available for $25/week. Doctor On Demand makes it easier than ever to see a dedicated psychologist for remote therapy sessions, so you can tackle your emotions via video chat from the comfort of your own home. You pay per session ($50 for 25 minutes and $95 for 50 minutes), so you'll never experience hidden fees. Whether you have two minutes or an hour, Happify guides you through mental exercises to help you overcome negative thoughts and worries (free; available on Google Play and iTunes).